Jacqueline Adams, Ph.D. is an award-winning sociologist and author of the books Surviving Dictatorship: A Work of Visual Sociology, and Art against Dictatorship: Producing and Exporting Arpilleras under Pinochet, published by Routledge and the University of Texas Press respectively. The first of these books examines women living in Chilean shantytowns and their experiences of poverty, state violence, collective work, and activism during the Pinochet dictatorship. The second analyzes the production of dissident art by women shantytown residents, political prisoners, relatives of disappeared persons, and rural women during the dictatorship in Chile. Jacqueline is now pursuing her interest in the ways in which people survive persecution with research for a new book on Jewish refugees from Nazi-occupied Europe. She has extensive experience with semi-structured interviewing, participant observation, visual methods, oral history interviews, and textual and visual archival data, and works with data in English, French, Spanish, Catalan, Portuguese, Italian, and German. She is a project scientist at the University of California at Berkeley’s Institute for the Study of Societal Issues and serves as an external collaborator for the United Nations. 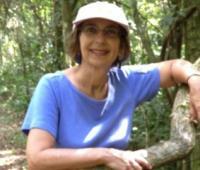 Robin Marsh joined ISSI in July 2014 as a Senior Researcher. She is a socio-economist with over 25 years of experience in international agriculture and rural development. Marsh received her PhD from the Food Research Institute, Stanford University. She subsequently worked for the World Vegetable Center on socio-economic and nutritional benefits of home/community gardening, and for the Food and Agriculture Organization on local institution strengthening for food security and sustainable rural livelihoods. Marsh joined UC Berkeley in 2000 as Academic Coordinator of the Center for Sustainable Resource Development and Co-Director of the Beahrs Environmental Leadership Program (2000-2013). She has been a lecturer at UC Berkeley's College of Natural Resources since 2003, teaching in the field of Population, Environment & Development, and is Affiliate Faculty with The Blum Center for Developing Economies. Robin Marsh is a founding leader of the The MasterCard Foundation Scholars Program (MCFSP) at UC Berkeley, a major partnership to provide high-achieving, economically disadvantaged youth from sub-Saharan Africa the opportunity for quality university education and leadership development. Since 2013, Marsh is lead researcher on the multi-university study, "Career and Life Trajectories of African Alumni of International Universities". The collaborative study will produce findings relevant for current MCF Scholars and for enhanced understanding of the diverse outcomes and impacts of an international education. Marsh is currently the Academic Partner with the Global Fund for Women's Initiative: Rural Women Striding Forward, working with the sub-Saharan African team to develop robust research tools and disseminate findings to policy-makers. She is also a fellow with the non-profit organization EcoAgriculture Partners, and associated global initiative, Landscapes for People, Food and Nature. 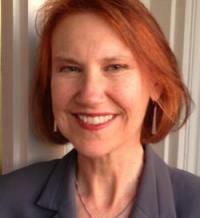 Laura McCreery serves as Oral History Project Director at ISSI. McCreery's oral history of the retired chief justice of California, the Honorable Ronald M. George, was published in 2013 by Berkeley Public Policy Press as Chief: The Quest for Justice in California, which was awarded the 2013 California Book Award by the Commonwealth Club. In addition to interviewing retired justices for the California Supreme Court Oral History Project, she has interviewed Governor Gray Davis (an ongoing project not yet available for public use) and directed a study of elected board members and other leaders of the East Bay Regional Park District, a two-county "special district" of California government. She is author of a history of that agency, Living Landscape (Wilderness Press, 2010, with a foreword by Congressman George Miller). McCreery's oral history articles have appeared in such journals as California Legal History, Oregon Historical Quarterly, and California Historian, and she has consulted widely for such clients as the Berkeley Historical Society, the Berkeley Repertory Theatre, the Contra Costa County Historical Society, the Environmental Defense Fund, the Novato History Museum, Reed College, and the Society of California Archivists. Frank Neuhauser is a senior research associate at UC Berkeley's Institute for the Study of Societal Issues. His expertise is in social insurance programs, disability, health care, Social Security, Medicare, workers' compensation and their related public and private insurance programs. One branch of his research has used large administrative data sets to help design statutory and regulatory changes at the federal and state level that improve the efficiency of social insurance programs. Another focus has been on improving the outcomes, both economic and health, of beneficiaries of these programs. Mr. Neuhauser has written extensively and testified frequently on areas as diverse as the pricing of medical services, medical treatment incentives, improving administrative law processes, including alternate dispute resolution systems, insurance ratemaking and pricing and the opportunity for significant savings if diverse programs are better integrated. Current research projects include developing a pilot for the State of California integrating occupational and non-occupational medical treatment under standard health insurance coverage, testing for the Social Security Administration whether early intervention with workers at the onset of disability could cost-effectively reduce transitions to Social Security Disability Insurance, and modeling alternative designs for long-term care insurance that the broad public wants to purchase and insurers want to sell. 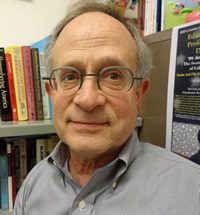 Lawrence Rosenthal is Chair and Lead Researcher of the Berkeley Center for Right-Wing Studies. He was a Visiting Scholar at the Institute for the Study of Social Change for a dozen years before founding the Center in 2009. 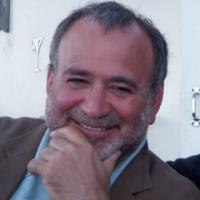 He has taught at UC Berkeley in the Sociology and Italian Studies Departments and was a Fulbright Professor at the University of Naples in Italy. He has studied the Right in the United States and in Italy and is currently working on a study of the contemporary American Right in comparison to movements of the Right in 20th century Europe.